'Penny Bunker' (Eleanor McCown, R. 1981). Seedling #78-14. SPU, 48" (122 cm). Midseason bloom. Standards pale orange yellow (Nickerson 7.5 YR 9/4); falls moderate orange yellow (10 YR 8/10), tinged gold; orange yellow signal. 'Forty Carats' X seedling #73-5: ('Ripe Wheat' x 'Imperial Gold'). Cordon Bleu 1982. From AIS Bulletin #245 July 1982 Introducing PENNY BUNKER. 48". A luscious, fully fonned beauty with standards of pale orange-yellow and falls of moderate orange-yellow tinged gold. 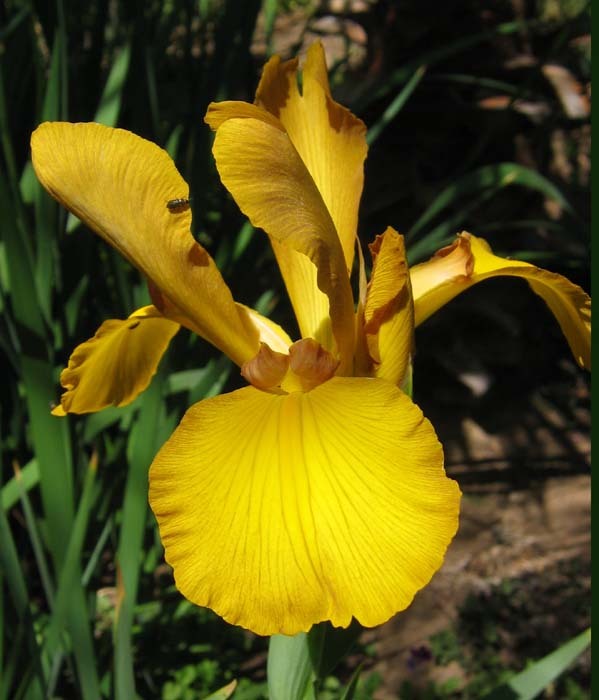 Named in honor of San Diego's own 'Golden Penny' with the distinctive hair coloration and who is present at so many floral functions. Forty Carats X (Ripe Wheat x Imperial Gold). $20.00. Cordon Bleu Farms.